The purpose of this study is to gain a holistic view of the global teleradiology market in terms of various influencing factors such as recent trends, regulatory requirements, and technological advancements of the market. The scope of this report constitutes a detailed study of the teleradiology services associated with the global teleradiology service market across different regions. The market has been segmented into ’technology type,’ ’imaging modality’, ’application,’ ’distribution channel,’ and ’regions.’ The teleradiology services market (by technology) is segmented into Web-based Teleradiology Services and Cloud-based Teleradiology Services. On the basis of imaging modality, the market is segmented as Computed Tomography, Magnetic Resonance Imaging, Nuclear Imaging (PET/CT), Ultrasound Systems, Mammography, X- Ray, and Others. Based on application, the market is segmented as Radiology Information System (RIS), Picture Archiving and Communication System (PACS), Integrated (RIS and PACS), and Others. The end user segment contains Hospitals, Diagnostic Imaging Centers, ASCs, and others. The research study highlights the factors governing the industry attractiveness with Porter’s Five Forces for a comprehensive understanding of the global teleradiology services market. 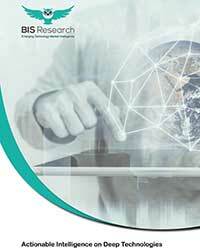 Moreover, the study includes detailed product mapping with further sub-segmentation of various countries, and in each sub-segment, the key market trends, list of the key companies, and the key strategies and developments have also been discussed.